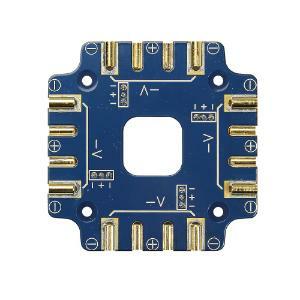 The Power Distribution Board provides solder-free connections for the electrical system. Interconnect numerous power sources and sinks in a compact, yet high-capacity form-factor. Designed for use in the ELEV-8 v3 Quadcopter with 1 to 2 batteries and up to 3 additional low-power peripheral devices, this board will keep your project well organized and energized. Accessories information: We've thoughtfully engineered the entire quadcopter as a durable yet highly functional aerial development platform. A generous 3lb payload capacity or flights up to 20 minutes on a single battery support the experiments and applications you want to pursue. The entire system is designed in a clean, open plan that requires no soldering for assembly. It is rugged enough to survive most minor crashes (inevitable if you're doing development, as we well know). 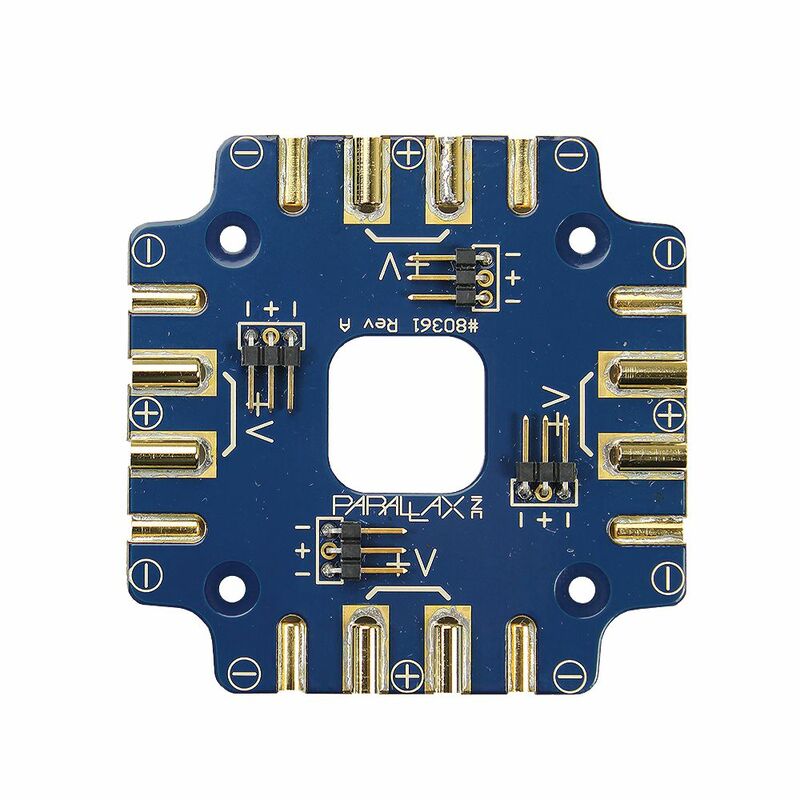 At the heart of the quadcopter is the ELEV-8 Flight Controller. We’ve developed our own in-house, so we can keep the Flight Controller, thoroughly-commented C-language firmware, airframe hardware, and Ground Station software tightly integrated as we continue to add features and develop accessories and applications. An RF transmitter and receiver, Li-po battery (3300 mAh or 5300 mAh), and battery charger are required for flight, not included. 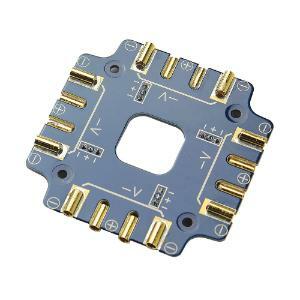 For detailed requirements, please see the ELEV-T32:T338 v3 Quadcopter Assembly Guide.